There is little that's better than waking up to a breakfast dish that just needs a few minutes in the oven while you sip your first cup of coffee. With the recipe that follows, that's exactly what you get. It's part cheesecake, part bread pudding, and 100 percent deliciousness. Because it all comes together overnight, there's very little work for you to do before that first cup of coffee. That cheesecake flavor doesn't come from cream cheese either, which is surprising. Instead, this dish uses mascarpone cheese, which is thick and rich and one of the best dessert cheeses that exists. 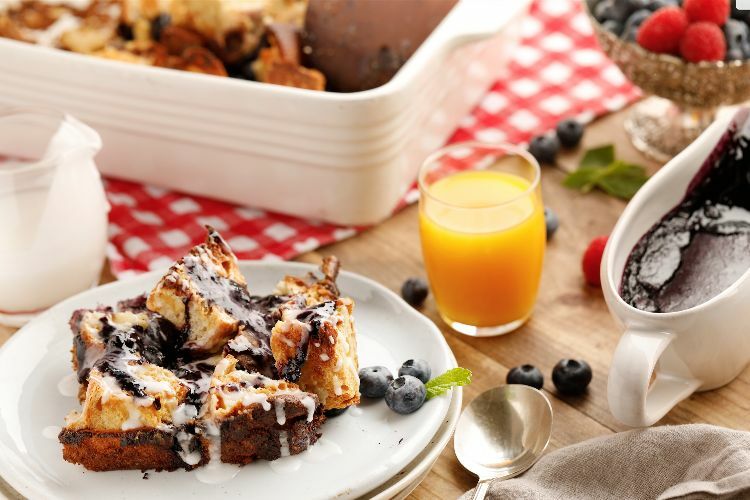 Add that to blueberries and soft pieces of bread, and this is one casserole that will show up on your breakfast table time and time again. Grease a 9-by-13 casserole dish. 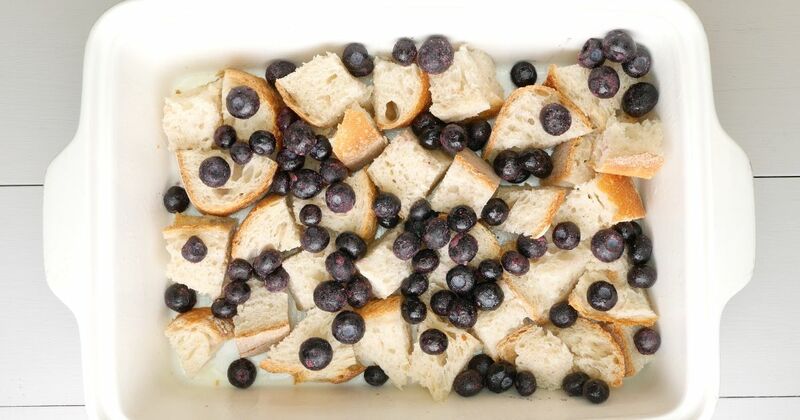 Place half of the bread pieces inside the casserole dish and sprinkle with half of the blueberries. Top with remaining bread pieces. In a large bowl, beat the mascarpone cheese and sugar until smooth. Beat in the eggs, sour cream, vanilla and cinnamon. Gradually add milk to the egg mixture until well blended. Pour this mixture over the bread and blueberries in the casserole dish. Cover the casserole dish with plastic wrap and place in the refrigerator overnight. In the morning, remove the casserole from the fridge and let it sit out for about 30 minutes. Remove plastic wrap from the casserole and replace with aluminum foil. Place the casserole into the oven and let it cook for 30 minutes. Remove the foil and bake for another 25 minutes, or until a knife inserted into the center comes out clean. Let casserole sit for about 5 minutes before slicing and serving.